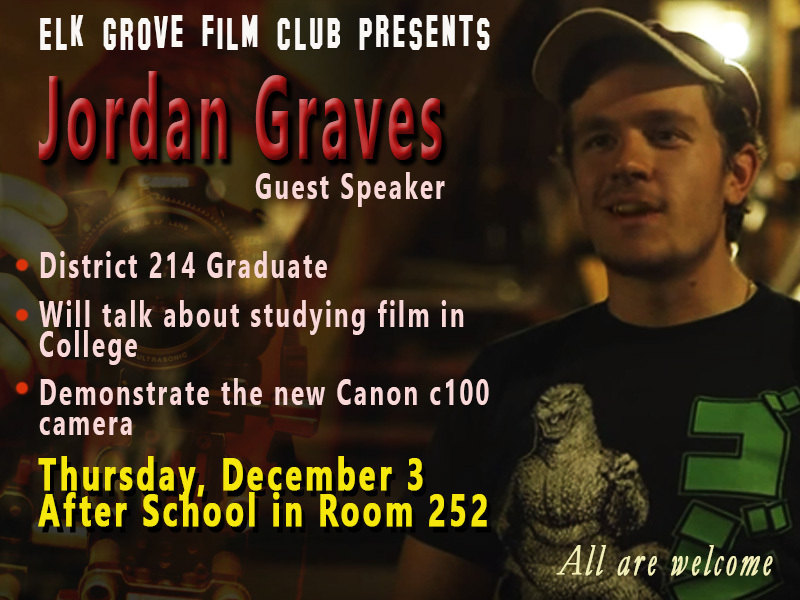 At last year's CinéStudent Film Festival, District 214 graduate Jordan Graves was honored in our "Alumni Spotlight." On Thursday, December 3, Jordan will be here at Elk grove High School to discuss film-making, studying film in college. He will also demonstrate a new Canon camera that he recently purchased. All are welcome! 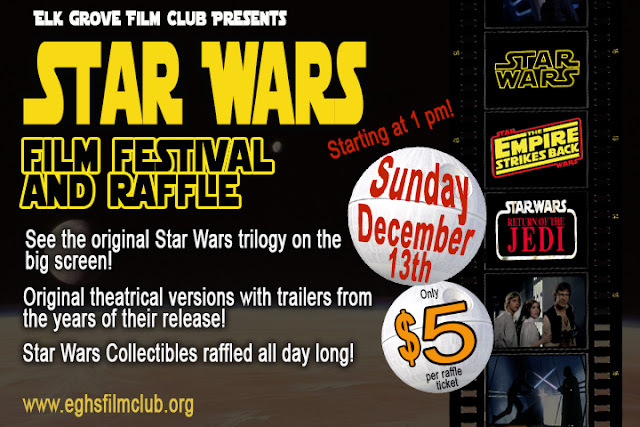 Coming Soon: The Star Wars Film Festival and Raffle! On December 18, 2015, Star Wars: The Force Awakens premieres in theaters all over the country. To get ready for this event, the EG Film Club will be presenting all three films of the original trilogy! Mark your calendars for Sunday, December 13. The fun begins at 1 pm. More to come soon--including online ticket sales and a description of all collectibles being raffled that day! So spend a day with Luke Skywalker, Han Solo and Princess Leia. Food, Collectibles and Star Wars! What more can you ask for?